Will A High Carb Diet Help Build Muscle? As you put in those hard workouts to help build lean muscle mass, it’s important that you take the time to plan out a proper diet plan. One of the best options for rapid results is a high carb diet. This said, you can’t just go off eating any food rich in carbs and expect ideal results. If you are going to use a high carb diet, you need to have some guidelines in place. Let’s look at the best way to see results from your high carb diet plan. The very first thing you must do if you are going to begin a high carb diet is make sure that you select smart carbohydrate sources. This means steering clear of baked goods as well as any refined sources of carbs. Put these into your body and you are consuming food that contains very little, if any nutrients, so all you’re getting is empty energy. What’s worse is they spike insulin immediately after consuming them. While post-workout high insulin can be a good thing, you do not want this 24 hours a day or you will be quickly gaining unwanted body fat. 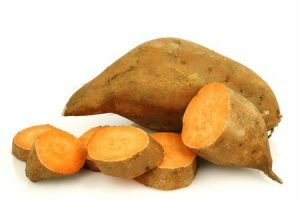 Instead, your primary carbohydrate intake should come from fresh fruits, sweet potatoes, wild rice, as well as quinoa. 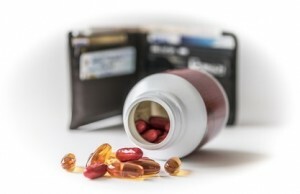 These are all natural, full of nutrients, and will provide stable, long-lasting energy. Speaking of insulin, one thing that you do want to do is load up on those healthy carbs before and after the workout session. 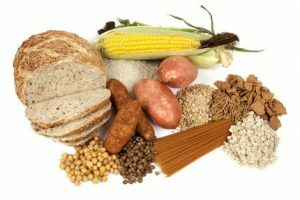 On your high carb diet plan, you should aim to have around 60-70% of your total carb intake in the meal before the workout, right after, and in the one that follows that. Then the rest of the day, you’ll focus on carbohydrates coming in strictly from vegetables along with the odd piece of fruit. The meals that remain should center around lean protein and healthy fats as these are what will keep insulin stabilised, ensuring you stay lean. The next step to take as you use a high carb diet is considering your day off intake. 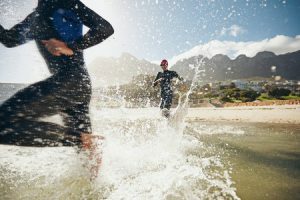 While you will need some carbs on the day off for recovery purposes, you don’t need to overdo your carbohydrate intake. Lower your consumption by around 30-50% or so on the off days you have in your program. Aim to consume 120-150 grams or so (which will help you stay anabolic) but beyond that, leave the high carb days to the days that you workout. Of course if you are mostly concerned with maximum muscle gain and don’t mind if you put on body fat while doing so, then you can keep the carbs on the off days higher. You need to think about what your top priority is – developing strength and size as fast as possible or staying lean while building muscle. Once you know this, adjust your plan from there. Finally, don’t forget to evaluate your progress regularly. Every few weeks, look at how your results are stacking up. Are you building muscle at the rate you want to be? Are you gaining fat faster than you had anticipated? Adjust your diet accordingly. If you aren’t building muscle fast enough, increase your carbs and calories. If you are gaining a bit of body fat, check to ensure the timing of your carbs is optimal and if it is, consider cutting back on your calorie intake slightly as you may just be taking in a little too much for what your body can handle. If you use these tips as you carry out a high carb diet for building muscle, you should be seeing excellent results in no time.